Great Great Grandfather of Bro. Rick D. Bays, Jr.
Born 28th of July 1838 on Nantucket Island, Maine. Married Charlotte I. Poore on 05, February 1861. 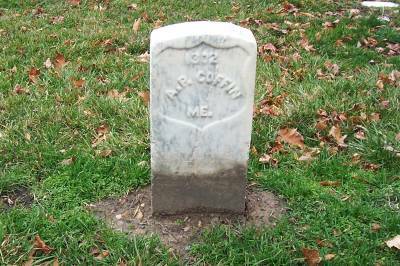 Fathered a daughter, Mary Almira Coffin, who he never was able to see. Joined the Union Army, 6th. Maine Infantry Regiment, Company K' 15, July 1861. Developed sickness and died at age 24 on 04, April 1862, at the old Hospital known as the Mansion House outside Washington DC. Buried in Alexandria National Cemetery, Plot AO 1302.